Now, possibly because he is very nice, Sacha Baron Cohen himself has offered to pay the tourists’ fines. As noted by Israeili news site Haaretz, Baron Cohen shared the BBC story on Facebook and told his “Czech mates” to send him proof of their identities so he could pay their fines. Assuming all six guys come forward, that’ll be just over $400 or 135,000 tenge. 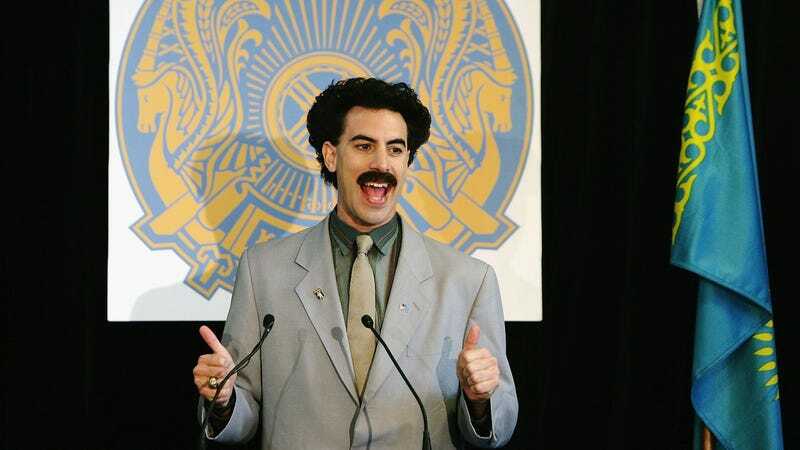 Once that’s all worked out, surely everyone involved will consider it a great success, with the only downside being that the details of this story didn’t provide an easy opportunity to complete the Borat trifecta with a reference to my wife.